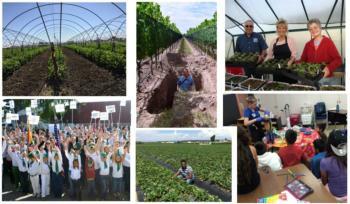 California Cooperative Extension is the local link to research, information, and expertise for the University of California. Instead of teaching students in classrooms, Cooperative Extension advisors and staff work directly with people in San Luis Obispo County. Since 1922, when the San Luis Obispo County Board of Supervisors officially established a partnership with CE, we have been part of a nationwide network of educators and scientists who use education to help local people solve problems.